With over 38 years of experience in designing, organising and delivering creative party marquees, we can help you to host the perfect party. Marquees offer the ideal venue for your party, whether it’s an important birthday, anniversary, Christmas, christening, house warming, barmitzvah, retirement… whatever your celebration we have the answers. A marquee is a blank canvas on which we can create an exciting, elegant, extravagant or eclectic ambiance tailored to your individual requirements. 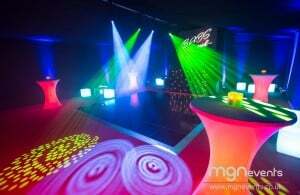 Our planning team listen to your ideas then create party marquee plans and theming options especially for you. 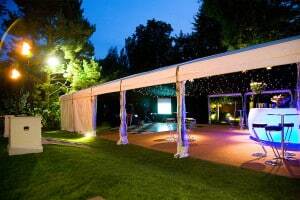 We have a flexible system of frames and panels, that can be combined to create the ideal space for your party. 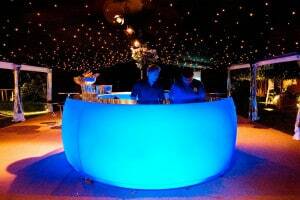 Whether you want a classic tent with a starry ceiling, or clear roofed marquee with dramatic lighting and effects, a dance floor, chill out bar area or dining area, we can create your dream party venue. Great Gatsby – See the video below! For this Great Gatsby themed party, designed and planned by the fabulous MGN Events, we provided two clear marquees, fitting one onto a roof top terrace to provide cover for the entertainers and one into the narrow London garden space – the result, we think you’ll agree, is stunning! We still dream of the stunning tents you made for us and so many people are still talking about them! The wedding was such a great success due to all your hard work. Thank you again!